Storm surge from Hurricanes Katrina and Rita destroyed hundreds of square miles of coastal wetlands. The damage caused by flooding and storm surge was made even worse by the previous loss of miles of protective wetlands. In 2005, Louisiana and its neighbors suffered two massive hurricanes. These storms brought unprecedented destruction and demonstrated the catastrophic impact that land loss has on the vitality and sustainability of the central Gulf Coast. The first of these storms, Hurricane Katrina, made landfall in Plaquemines Parish, La. as a Category 3 hurricane on August 29, 2005. 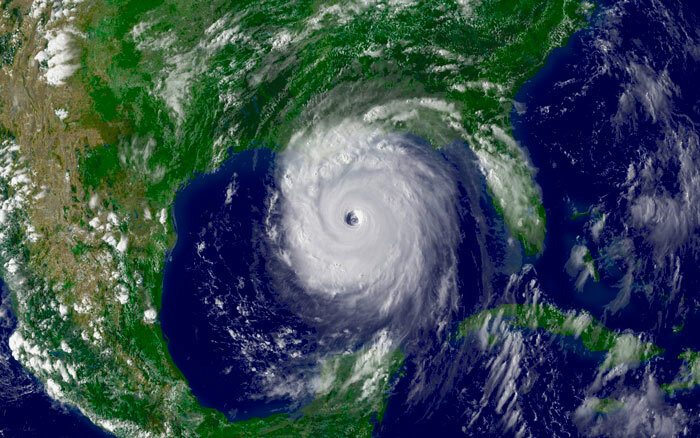 The second, Hurricane Rita, came ashore in southwestern Louisiana on September 24, 2005, cutting through a sliver of Cameron Parish before plowing its way across eastern Texas. Together, the two storms resulted in nearly 2,000 deaths and an estimated economic toll of $91 billion, with $81 billion of the losses coming from Katrina. 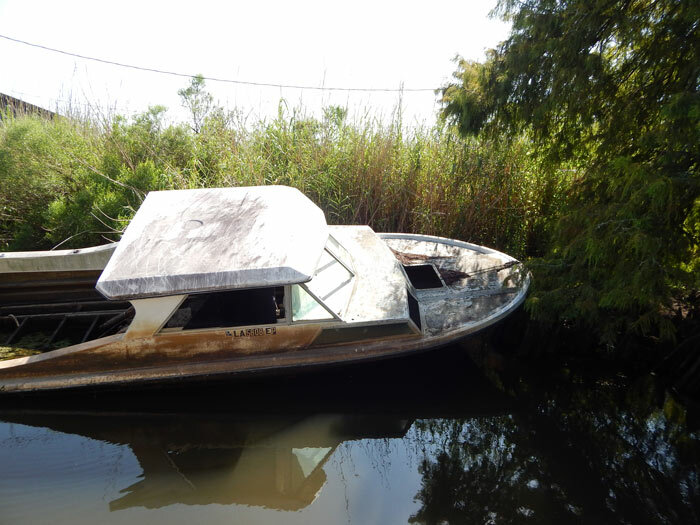 Louisiana bore the brunt of the damage—about 1,300 casualties from Hurricane Katrina, subsequent levee failures, and heavy losses in commercial fishing and other industries. Aside from their devastating impact on the lives of millions of Gulf Coast residents, the storms damaged the already-fragile marshes and wetlands of coastal Louisiana. Coastal Louisiana’s land loss directly contributed to the storms’ human and economic toll. In the past, extensive healthy wetlands buffered south Louisiana from storm surge. But with thinning wetlands, oyster reefs and barrier islands, the area’s communities have lost much of their natural protection. In the decades between the beginning of massive river levee projects in coastal Louisiana and the landfall of Hurricane Katrina, nearly 2,000 square miles of deltaic wetlands disappeared. Moreover, the remaining marshes and swamps are not as robust as they once were. Many areas are threaded with oil pipeline ditches and navigation canals, which bring salt water deep into the brackish and freshwater wetlands of southern Louisiana, disrupting the salinity balance required by the plants that hold wetland soils together. This intrusion of ocean water results in areas that appear healthy on the surface but are too weak to withstand storms like Katrina or Rita. Additionally, navigation channels have the potential to funnel storm surge inland, such as the Mississippi River Gulf Outlet (MRGO) did during Katrina, which contributed to catastrophic levee breaks. Although MRGO was finally closed in 2009, restoration of the areas affected by it remains to be fully executed. The disappearance and destruction of millions of acres of wetlands have left Louisiana with fewer natural defenses to protect it against future hurricanes. Without urgent action to rebuild the region’s wetlands and reverse the damage wrought by Hurricane Katrina and other storms, major sections of the Mississippi River Delta and coastal Louisiana could vanish the next time a major storm strikes the coast. Learn more about the 19 Priority Restoration Projects we have identified that represent the most promising near-term solutions for restoring Louisiana’s coast.